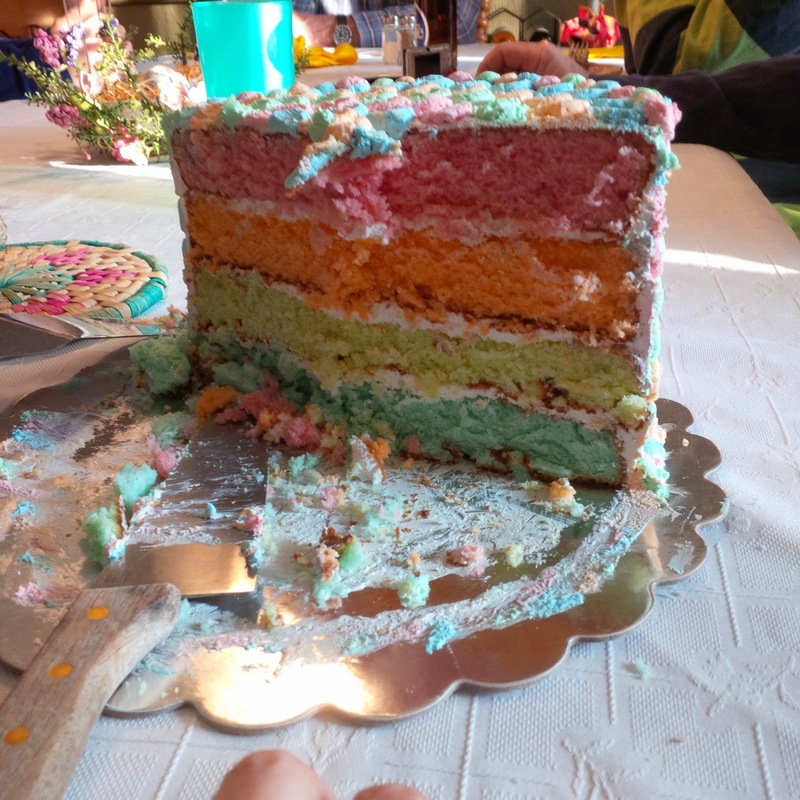 This cake was made to celebrate a Happy Easter. Size: This cake was made out of four 9 inch cake pans stacked ontop of eachother. Taste: The flavour was a vanilla cake flavoured (and coloured) with jello powder. It gives a subtle strawberry, orange, lime and raspberry flavour to each layer. 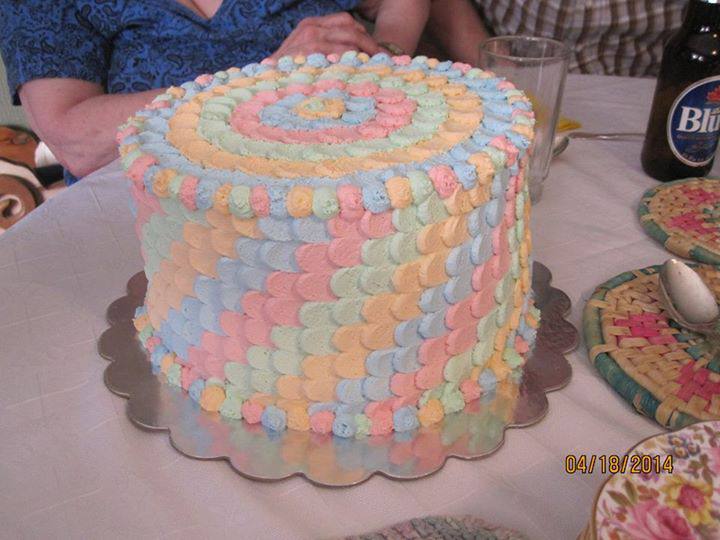 Filling: This cake was filled with white whip cream icing. 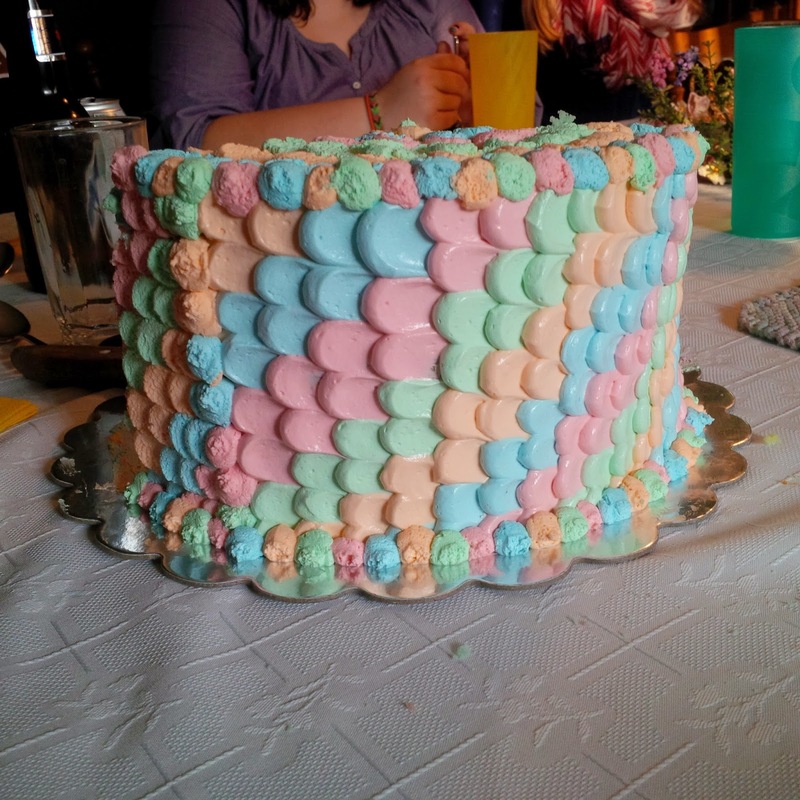 Icing and decorations: This cake was iced with homemade whip cream icing, flavoured and coloured with the same jello powders used to flavour and colour the cake.